After so many years of being ignored by the public at large, the labors of groups like Architects and Engineers for 9/11 Truth, Scholars for 9/11 Truth, Firefighters for 9/11 Truth, and Pilots for 9/11 Truth; and the work of people like theologian David Ray Griffin and others, may finally be paying serious dividens. The Lawyers Committee for 9/11 Inquiry, along with over a dozen 9/11 family members, have presented a large collection of evidence to the U.S. Attorney for the Southern District of New York to substantiate their thesis that the buildings of the World Trade Center could only have been destroyed in the manner which they were through the use of explosive devices. Because of the evidence presented, U.S Attorney Geoffrey Berman of Manhattan, NY has complied with the provisions of federal law 18 U.S.C § 3332 and has ordered the convening of a federal grand jury to finally investigate the attacks of 9/11. This is indeed a historic occurrence, and one that is long overdue. 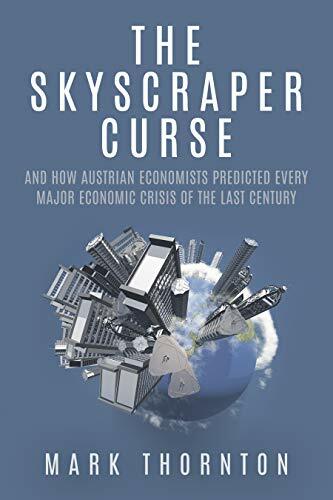 The Skyscraper Curse: ... Mark Thornton Check Amazon for Pricing.